How to view the Syncfusion Dashboard (either published at Dashboard Server or embedded in HTML file) in Microsoft PowerPoint? 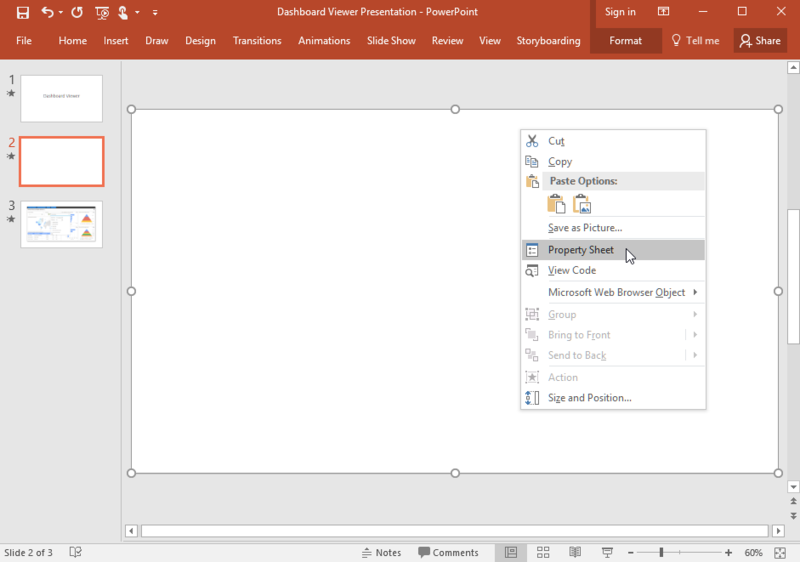 #1 Download and add PowerPoint Add-on called LiveWeb in Microsoft PowerPoint. #2 Navigate to Insert menu in ribbon and click ‘Web Page’ under LiveWeb category. Allow Web page to run scripts or ActiveX controls for ActiveX warning. #4 Continue further configuration settings as directed by the wizard and click Finish. 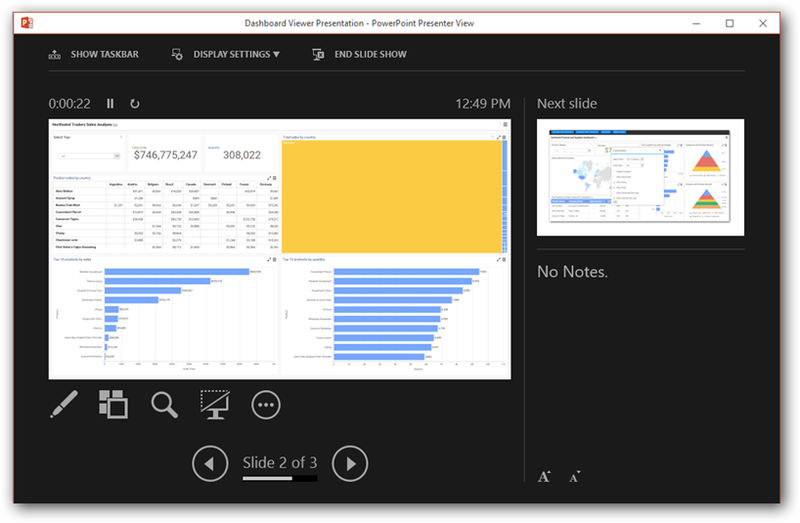 #6 Start the ‘Slide show’ to preview the dashboard in your presentation slide. For more details about LiveWeb, refer here.